The Honda CR-V is one of those models that needs no introduction. This year again, the 2019 Honda CR-V retains the winning recipe that has made it so successful for more than two decades, offering a combination of reliability, low fuel consumption and excellent cargo space. Whether you're out camping for the weekend or going skiing with your family, you'll certainly have enough space in the 2019 Honda CR-V. With a cargo capacity of 1110 liters in the trunk and 2146 liters once the rear seats are lowered, the 2019 Honda CR-V is among the most versatile models in its class. With its standard 1.5-liter turbocharged four-cylinder engine, the 2019 Honda CR-V is also an example of frugality. Its combined city/highway fuel consumption rating of 7.8 L/100 km in FWD models and 8.0 L/100 km with all-wheel drive is enough to make the competition blush. Whether you opt for the LX, EX, EX-L or Touring versions, all 2019 Honda CR-Vs are equipped with a continuously variable automatic transmission that plays a pivotal role in making the CR-V one of the most fuel-efficient vehicles in its segment. 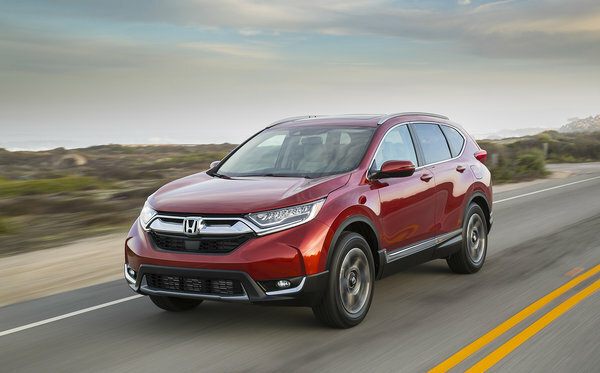 Thanks to the magic of turbocharging, the 2019 Honda CR-V can be powerful while being fuel-efficient. Starting at $ 27,490 at Portland Street Honda, the 2019 Honda CR-V has all the standard equipment you could ever want including push-button start, heated front seats, and advanced connectivity with Android Auto and Apple CarPlay. With the LX all-wheel-drive variant, starting at $ 30,290 for 2019, the Honda CR-V also comes with the Honda Sensing Driver Assistance Technology Package. Honda Sensing brings together a package of technologies to make your trips safer by avoiding accidents before they even happen. 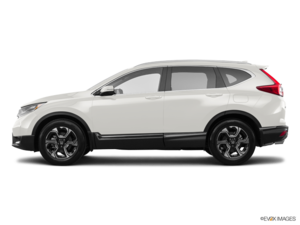 To make this possible, the Honda CR-V relies on systems such as lane departure warning and prevention, adaptive cruise control and forward collision warning. Safe, economical and fun to drive, the 2019 Honda CR-V does justice to its reputation. 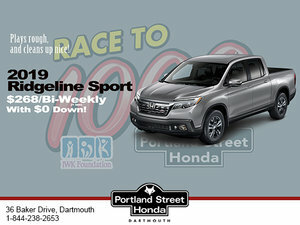 Check it out today at Portland Street Honda.